If you thought there was anything Fabergé could not do with gems and precious metals, you were wrong. 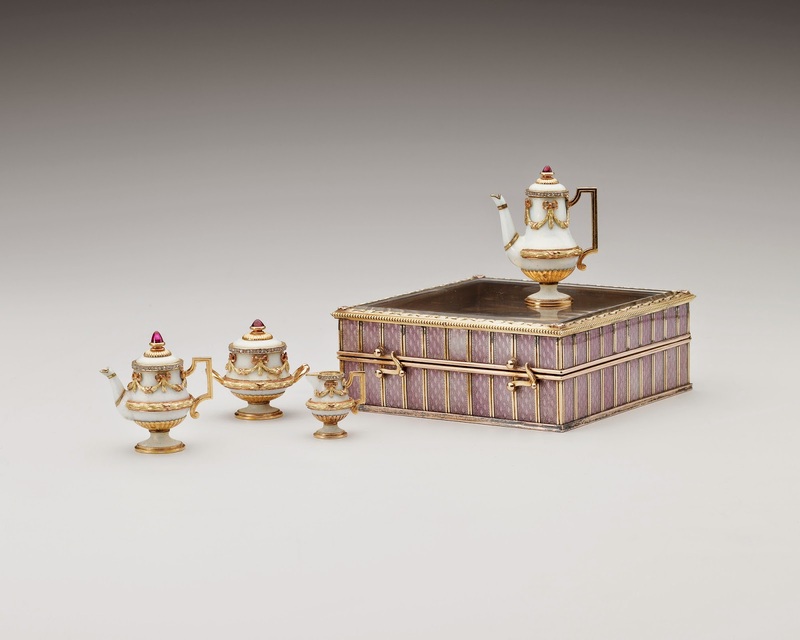 Here is a miniature tea service! It was made sometime between 1896 and 1908! 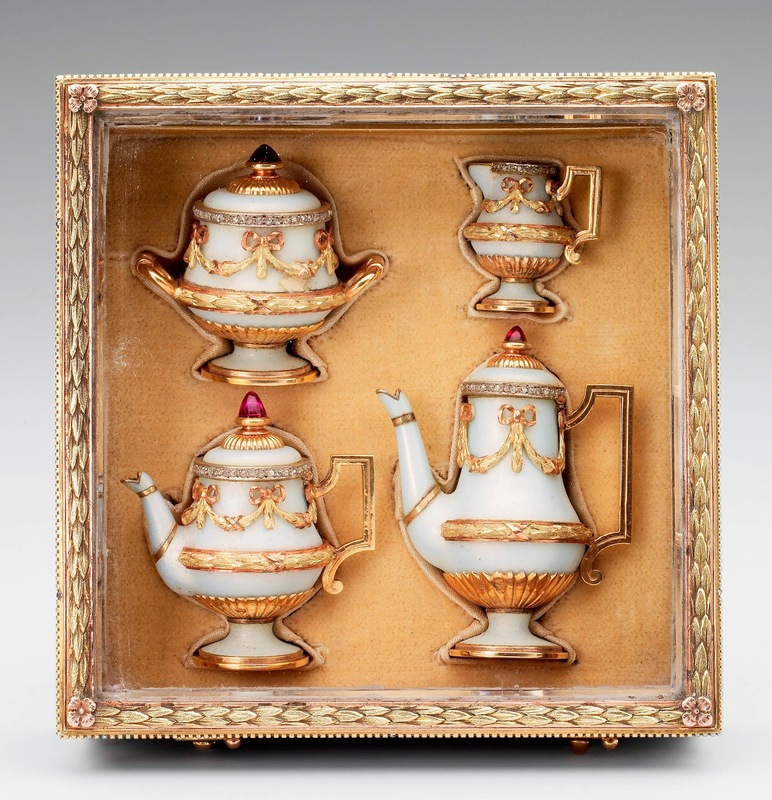 The box is silver-gilt and decorated with colored gold and mauve enamel over a guilloché ground. Mauve was Tsarina Alexandra Feodorovna's favorite color, and this set could have originally been an imperial commission. The lid is set with a panel of crystals. The size of the box is 0.9'' x 2.5'' x 2.5 '' (2.4 x 6.4 x 6.4 cm). The tea service inside the box consists of a teapot, a hot water pot, a sugar bowl, and a milk jug. The set is made of gold, covered in a pale opaque bluish-white color which make them look like they were made of porcelain. All four pieces are decorated with colored gold, and the lids are topped by a cabochon ruby each. The tea service is now part of the Royal Collection, but according to a note Queen Mary's list of trinkets, it once belonged to Queen Alexandra.